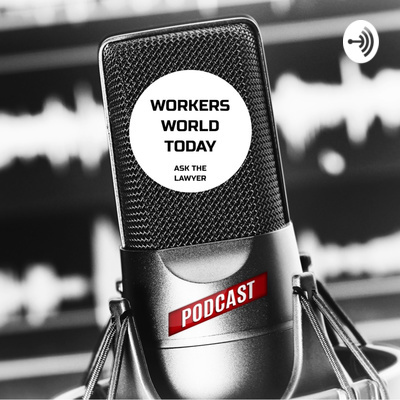 Workers World Today podcast has a mission to educate workers and provide them with relevant information pertinent to the workforce such as workers’ compensation, discrimination on the job, workers’ rights, and more. ASK THE LAWYER: Will ICE agents deport me when I go to interview for my Green Card? ASK THE LAWYER: What can you do if you are a victim of domestic violence? ASK THE LAWYER: What are my options as an undocumented immigrant? ASK THE LAWYER: Can I File for Bankruptcy as a Green Card Holder? Ask the Lawyer with Brian Figeroux, Esq., member of the American Immigration Lawyers Association, brings you the latest updates on immigration law and other important legal issues. Trump's Proposed Rule: A War on Immigrants?